For a large number of Americans, the devastating effects of a prolonged recession have forced a collective abandonment of the budding “green” movement which had swept the nation. 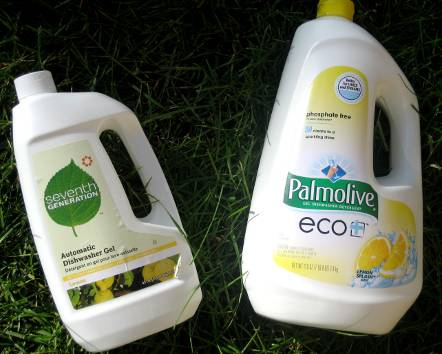 While concern for the health of the environment has surely not waned, shrinking budgets have compelled many families to purchase inexpensive household cleaning supplies rather than eco friendly products. Unfortunately, this misguided attempt to save money does nothing but further jeopardize the natural world while failing to deliver the advertised savings. With a little research you can easily find vendors which specialize in providing affordable, eco friendly household supplies like all natural laundry detergent, recycled paper towels and organic shampoo and conditioner. The recognized leader in the world of green cleaning supplies is SeventhGeneration.com, a brand which includes a diverse assortment of eco friendly products ranging from diapers to disinfectant. A thorough tour of the Seventh Generation website will soon illustrate both the abundance of green household supplies to choose from and the affordability the offer when compared to their chemically based counterparts. A great choice for budget conscious mothers is baby wipes which use only plant based derivatives to soothe a child’s skin, while containing no harmful dyes, fragrances, alcohol or synthetic cleaners. Biodegradable diapers are another terrific product for moms who are searching for an alternative to the environmental scourge of petroleum based plastic diapers. You will also find an array of non toxic, biodegradable household cleaners, from shower to tub and tile to toilet bowl, all of which contain naturally derived plant extracts which clean surfaces as effectively as dangerous chemicals. The true beauty of using green products like those sold by Seventh Generation is that they will save you money when compared to environmentally harmful standards like Pampers, Clorox and Comet. Many mothers also follow traditional natural cleaning techniques to avoid overspending on household supplies. A spray bottle filled with a solution of water and distilled vinegar can become a proverbial wonder-cleaner, removing stains from a soiled carpet, degreasing the barbecue grill or scrubbing the kitchen floors. You can also use apple cider vinegar and a bit of baking soda to create a naturally cleansing abrasive paste, similar to that created by Ajax and water, for scrubbing kitchen or bathroom tiles at a fraction of the price presented by chemically based versions. One useful trick is to run a combination of warm water and white vinegar through your coffee maker about once a month to remove any buildup of mineral deposits. With a little imagination and the motivation to try eco friendly household supplies, you will soon find yourself saving money and feeling better about your contribution to preserving the environment. With a combination of plant derived green products and natural cleansers like vinegar and baking soda; you can easily adopt an environmentally friendly cleaning routine for half the cost of typical, chemically based regimens. We all have a responsibility to protect the environment and being able to do your part while still saving money is truly a wonderful thing. Sarah Danielson writes for Illinois PO Financing. With purchase order financing you can grow your business and pave the way for more.